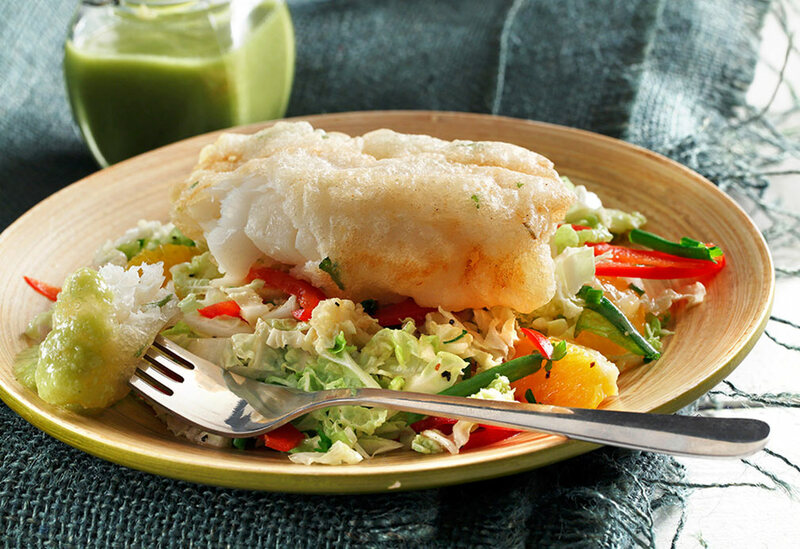 This family pleasing recipe uses mild, flaky white fish, veggies and heart-healthy canola oil. 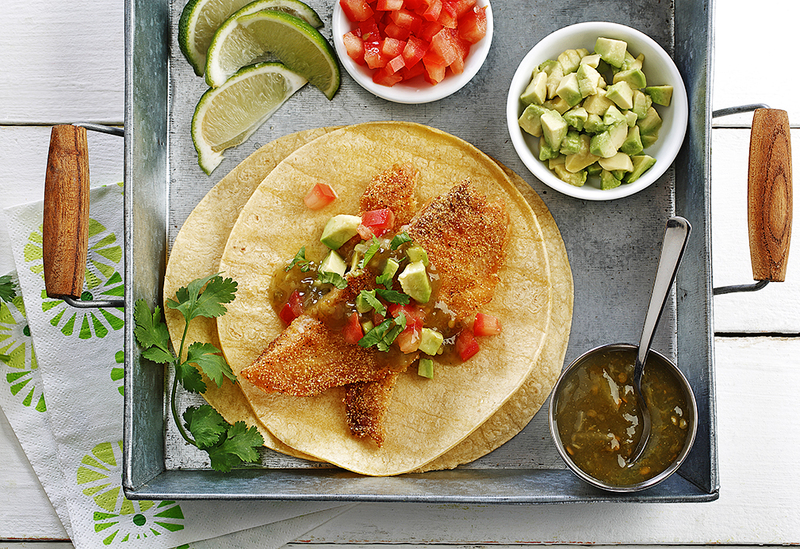 It is a quick, nutritious and tasty dish - perfect for busy weekday dinners. 1. Preheat oven to 400 ⁰F (200 ⁰C). 2. In food processor, mince mushrooms until finely chopped. In large, dry saucepan, cook mushrooms over medium heat until moisture is gone and mushrooms are lightly browned, about 5 minutes. 3. Remove from heat and add shallots, green onions, parsley, thyme, salt, pepper, bread crumbs and canola oil. Mix well. Set duxelles mixture aside. 4. In a lightly oiled 9x13-inch (22x33-cm) baking pan, spread crushed tomatoes . Stir in balsamic vinegar. 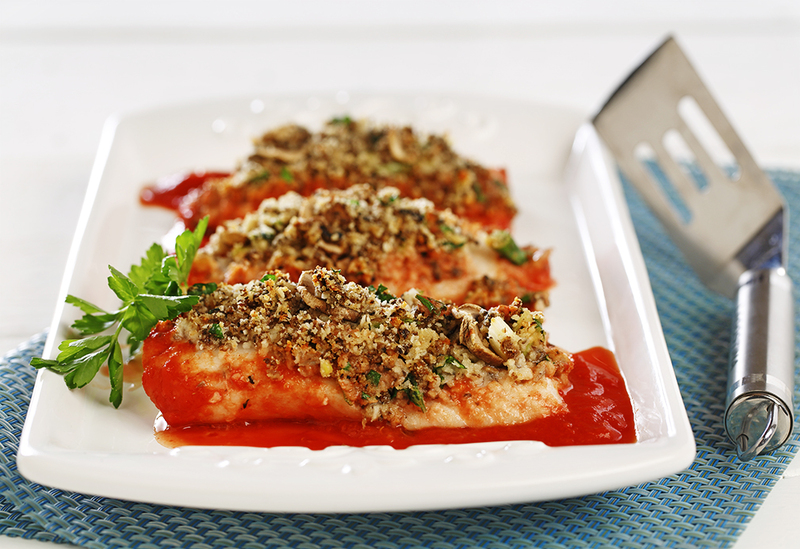 Place fish fillets on top of tomatoes. Spoon duxelles mixture over fish, covering fillets. 5. Bake for 15 to 20 minutes until fish flakes easily with fork and mushroom mixture is lightly browned. 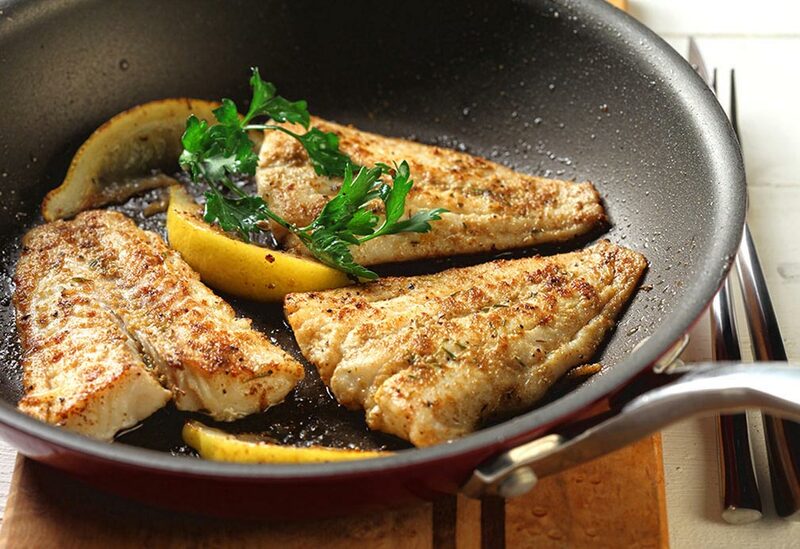 Sautéing is a quick cooking method. Canola oil's high smoke point makes it an ideal choice.